Dear Urbaneer: How Can I Keep My Flip from Flopping? After years of owning my own home, and seeing popular American T.V. shows where flippers make big bucks, I’m considering jumping into the property market with the aim to do the same. Ideally, I’d like to purchase a property that needs some work at a low price point, and then turn around and sell it for a good profit. Is this a reasonable undertaking in the current Toronto housing market? What do I need to consider in taking on this responsibility and making this purchase? Is “house flipping” as easy as it seems on T.V.? To start, you are wise to question what you see on T.V. 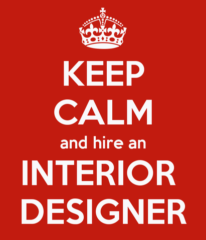 - especially when it comes to embarking on a property flip. T.V. shows are about ratings (and ultimately about drama), so while a home renovation may seem smooth (with the occasional deviation from the plan, which may or may not be contrived), remember - your own life is real - as are the consequences of poor property decisions. Furthermore, we're always astonished at how these shows tend to focus on acquisition price, renovation costs and final sale price. There are a whole lot of other costs associated with buying a selling that never appear to be addressed and, in our opinion, 'skew' the massive profits implied. That said (and that reality check is not to deter you from a purchase, it is about context, and setting you up for success in the real world!) there are numerous things to consider when purchasing a property for quick resale which make it a far riskier venture than you might envision. First, your profit is ultimately determined from the moment you make your buy, not when you sell your flip. Frequently, people buy a property with the intentions of making a huge profit only to find it a losing proposition due to the cost of all the renovations. When this happens, it's because the purchase price was too high. The number one mistake most flippers-to-be make is in the purchase of the home, not with the sell. And in Toronto's hot competitive real estate market, finding a potential flip for profit is not as easy as one might think. Second, fully comprehend the magnitude of any and/or all tasks, no matter the size. If you're buying a fixer-upper, make sure you have the skill set, and resources, to accurately determine the extent of repairs required to elevate the property along with their real costs. It's one thing to identify an opportunity because the dwelling needs a new kitchen and baths, but in Toronto most houses that need cosmetic upgrades also require cash injections for the much more critical - and expensive - building components. No buyer wants to buy a flip that has foundation problems, water management issues, knob and tube wiring or old heating/cooling systems (let alone a bad roof or old windows)! That cheap house you're keen on flipping may have serious flaws that are expensive to repair, which won't necessarily translate into a big return on investment. So be highly watchful for hidden defects on that house where the price of entry might be "too good to be true". Savvy renovators don't buy without their contractor and/or home inspector assessing the dwelling top to bottom, front to back. By spending a few hundred dollars on an inspection you can potentially save thousands of dollars in problems you cannot see. 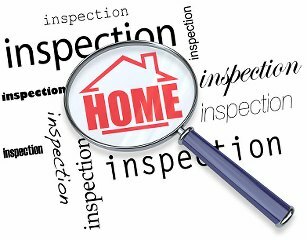 By getting a full inspection you can be rest assured that you know everything wrong in advance of your purchase of the property before it's too late. Generally speaking, you want to look for a house where as many of the major building components are in fair condition, such that you don't have to allocate the majority of your budget into the property's fundamentals (structure, water management, heating/cooling, wiring, windows, plumbing, wiring, roof). Here's an excellent post on the Value In Buildings. The more money you can dedicate to upgrading the aesthetics, the higher the return on investment (click here for a recent post on what home improvements bring the most bang for the buck). 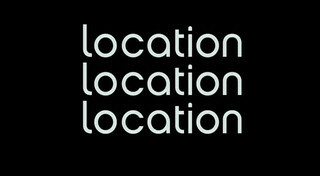 Third, never underestimate the value of location, location, location. We recommend one always buy property in the most desirable location one can afford, knowing that the location will ultimately provide impetus for price appreciation and profit. One of the fundamental flaws inexperienced flippers make is buying a house in an inexpensive location which cannot support the final upgrades and renovations. It is possible, in many areas, to over-improve a property. So do your due diligence and understand the neighbourhood, market conditions, price points and demographics (i.e. who do you want to sell this property to? What do they want their home to look like/what features do they expect?). Most professional renovators know in advance the potential resale value of their project based on recent comparable sales in proximity to the flip. And we know from experience how essential it is to have this knowledge. You don't want to have to rely on the market increasing in value to generate your profit, but on the base fundamentals of dollars and cents. Fourth, never do the work yourself. Get a trusted contractor or several sub-contractors and have the work done quickly. You need to have your property flipped as quickly as possible, so that you can get it on the market and sold. Many flippers-to-be believe their limited construction background will save thousands of dollars, and that they can do it evenings and weekends. This is a bad strategy. You run the risk of taking several more months to get the work done that the construction professionals can execute in a timely cost-efficient manner. And your workmanship may be too shoddy to appeal to a market seeking a quality turn-key product. Best you dedicate your time to managing your crew, and searching for the next opportunity. This is how you get profit in real estate. Fifth, invest in Good Taste. Urbaneer.com has written on a few occasions (click here and here for posts on house flipping) about the crimes of poor taste that are committed en masse by house flippers trying to save a buck by shopping in bulk, apparently at those ubiquitous Big Box décor stores. We contend that one of the greatest supports for return on investment is that of the unique. While there are no shortage of Buyers in the Toronto property market, it bodes well for a property investor to make their property stand out by means of well-placed, well-thought out design elements. Beyond the obvious aesthetic appeal, this sends a subliminal message to Buyers, about quality - and that yours is a premium space. We recommend you invest in a designer to help you select appropriate finishes and fittings that will have mass appeal without being too bland or common. Six, be aware of the real costs. For example, what sort of access do you have to capital and/or financing to do the renovations while carrying the mortgage in the meantime, if need be? Are you aware of the rules and regulations for financing a property investment? Before you embark on this journey, set your budget. Step two: set your timeline in accordance with the cycles of the market. An intelligent renovator creates a pro-forma which outlines all the expenses including closing costs (like the double land transfer taxes, legal and financing costs etc. ), the carrying costs (financing, cash flow for trades, utilities and property taxes), a contingency fund for delays and surprises, plus potential permit costs and application fees (electrical certificates, structural issues, tree protection and permits, etc). You also want to be aware that there are times of the year when buyers are not buying, like in the heat of summer or during holidays. All these factors can be expensive and quickly deplete any potential profit. And don't forget to include your selling costs, like using a realtor to expose your property to the greatest number of buyers on MLS. Seven, if you are after a get-rich-quick scheme, house “flipping” is not for you. 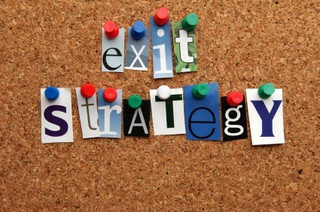 While it does happen (that usually involves more luck than strategy- like the stars aligning, and being in the right place at the right time) where an investor will acquire a property and turn around and sell it in quick succession for a tidy profit, you would be well-advised to plan for a potentially different timeline and delays. Don’t be fooled either by the fact that Toronto is teeming with buyers. In purchasing a home for quick resale, you are taking on responsibility - for the property, for the renovations - and for the associated costs, and potentially debt while waiting to realize the return on your investment. This makes it critical you're realistic on the price you can attain in order to realize the return that you want. Although you intend to sell straight away, what happens if you have to hold for longer than expected? What would you do if you needed access to cash in the meantime? To mitigate these risks, one strategy is to be prepared to sell the property for 1 to 2 percent below market value to expedite the sale and move on to the next project. If you purchase a house and try to sell it at top dollar to make an extra couple of thousand dollars on your flip and end up holding it for 6 months - then you'll ultimately lose money. Get the house on the market at a price that is going to blow the competition away, and you will sell it no matter what the market conditions. Eight, read the Fine Print (and know that it exists in triplicate). 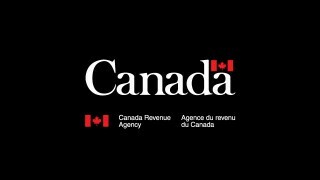 Revenue Canada is hip to the house flipping scene (click here for a recent post on tax tips for property investors) and may very possibly treat your house flip as straight income (yikes). That means when you sell a property that isn’t your principal residence and make a profit, half of the amount is taxable. This is the capital gains tax and it’s pretty straight forward, but every situation is different. It all depends on how the Canada Revenue Agency views the transaction. Also, you have to watch out if you're buying, occupying and then selling your flips under your Personal Residence Exemption. Here's an example of where a couple got taxed for moving too frequently which seriously eroded their profit. And here's an article on condo speculators having to pay too. Also, there are recent court cases where renovators are now also being nailed by Revenue Canada and having to pay the HST both on the original acquisition and subsequent resale of their projects when Revenue Canada proved it was always the intention of the renovator to substantially renovate for profit. That's an additional 13% tax on two ends of a deal! This new issue will spell financial disaster for the renovation industry, and can easily sink the ill-informed. Beware! This is what Urbaneer knows to be true. There is a reason that Toronto property prices keep going up. Part of it has to do with the fact that there is a mismatch between supply and demand. As a house flipper, you are taking charge of your own piece of the supply, so it would behove you to understand where the demand is, and how this dynamic could support the intention of your investment. We know there is demographic support for the continued health of the market, and a steady stream of immigrants who will continue to buoy the rental market at the very least, and continue to pour Buyers in to the pool as well.The other nugget of data is the scarcity of land in Toronto. While new projects abound, they are going up - not out, suggesting that the worth of the land itself in a purchase will just continue to climb, climb, climb. As a result, a house flipper’s best bet is to snap up a property in a demand location, with unique character and appeal, with access to green space, amenities and public transportation. No, it’s not rocket science, “Don’t Want my Flip to Flop”, but house flipping is an endeavour for which success is more likely achieved by fully understanding what you are getting in to - and understanding how to generate what you want out of the end product. If you're thinking about tackling a property flip but could use some guidance on the when, where and how, our team at Urbaneer has decades of experience. Covering all facets of the market, we know how to help steer, guide and support renovators through all the strategies to realize a solid return on investment. Have questions? Please know we’re here to help!